Daryl Lynn Hecht, 66, of Sloan, Iowa, passed away at his home on April 3, 2019, surrounded by loved ones. Memorial services will be held at 4:00 p.m. Thursday, April 11, 2019, at the First Congregational Church, U.C.C. of Whiting, Iowa with Rev. Nea J. Stepp officiating. Arrangements are under the direction of Rush Family Care Service in Onawa, Iowa. A celebration of Daryl’s life will also be held in the rotunda of the Iowa Judicial Branch Building in Des Moines, on Saturday, April 13, 2019 at 10:00 a.m. Friends and colleagues will have an opportunity to share memories and thoughts about Daryl. Daryl was born on June 25, 1952, in Sac City, Iowa, to parents Eldon and Darlene (Rubendall) Hecht. He grew up on a farm near Lytton, Iowa, where he developed his work ethic. Daryl had a lifelong passion for learning. He loved reading and was nick-named “the walking dictionary” in his childhood. Daryl communicated with precision, respected the power of language, and deeply appreciated the art of writing. Daryl graduated from Lytton High School. He earned his Bachelor of Arts degree in History and Political Science, from Morningside College, in 1974. Daryl earned his Juris Doctor degree from the University of South Dakota and was admitted to the Iowa bar in 1977. He practiced plaintiffs’ civil litigation at the Crary Huff Law Firm for twenty-two years. Daryl felt honored to be appointed to the Iowa Court of Appeals bench in 1999. He earned a Master of Laws degree from the University of Virginia Law School in 2004. 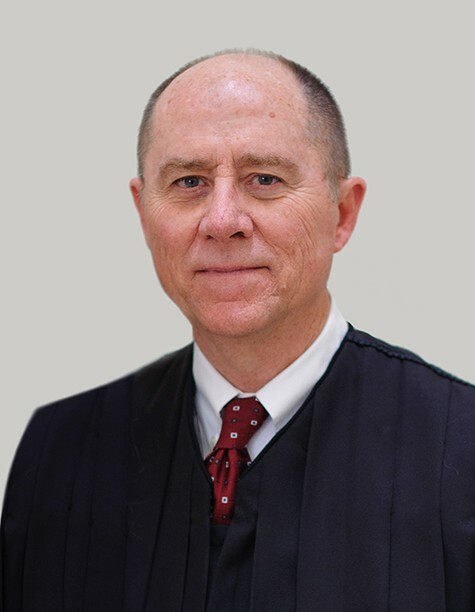 Daryl was elevated to the Iowa Supreme Court in 2006, where he served until his retirement in December 2018. Daryl passionately protected the constitutional rights of the citizens of this state. He believed that no matter what social station or personal background a person had, each individual was entitled to equal treatment under the law. Justice Hecht was one of the most thoughtful, caring, and conscientious judges to grace the Iowa bench. He linked wisdom with mercy, analysis with compassion, discipline with humor, detail with perspective, and the demands of the past with the hopes of the future. Daryl was a humble man with a wonderful sense of humor and a warm smile. He was deeply beloved by family and friends, colleagues, and congregants. Daryl took much pleasure in following politics and his favorite sports teams, but he carried music in his soul. Daryl loved to sing, and a good acoustic guitar was his friend. He sang as a child to make chores more enjoyable. He continued to sing throughout his life, participating in high school, college, and church choirs. He particularly enjoyed making music with his four brothers, sister, in-laws, daughter and church choir. He often provided special music at his church, First Congregational U.C.C. of Whiting. Daryl devoted tremendous energy to service, both in his personal and professional life. Yet, perhaps even more than the body of his jurisprudence and other contributions to his community, Daryl’s enduring legacy is the way he embodied integrity, humility, civility, equanimity, and kindness in all of his days, and the grace and dignity with which he faced his battle with melanoma. Daryl is survived by his wife, Sandy; daughters Erica (Kyle) Kehrberg and Lindsay (Karl) Strosche; three grandchildren, Elaine Kehrberg, Liesl Strosche, and Josef Strosche; mother-in-law, Elaine Bubke; siblings Larry (Linda) Hecht, Evan (Colleen) Hecht, Rick (Norma) Hecht, Dale (Stefanie) Hecht, and Lori Koeser. He was preceded in death by his parents Eldon and Darlene (Rubendall) Hecht; father-in-law, Dwaine Bubke; sister-in-law, Denise Bubke; and brother-in-law, Lee Koeser. Memorials are preferred and may be directed in Daryl’s memory to: Iowa Legal Aid (iowalegalaid.org); the PCD (primary ciliary dyskinesia) Foundation (pcdfoundation.org); or First Congregational Church, U.C.C. of Whiting, for provision of special music.